REDD Text Limps Out Of Doha-Heavy, Homeless, And Broke REDD negotiators approved new provisions on how to recognize non-carbon benefits but were unable to agree on how to verify emissions reductions or on the creation of a REDD committee. Climate negotiators expected to leave Doha with a roadmap to global binding emission-reduction targets by 2015, but all they got was the “Doha Gateway” – a bundle of winks and nods that even pushes back agreement on how to measure emission-reductions in forestry. Seasoned negotiators now say they’re growing weary of the UN process. 10 December 2012 | Doha | Qatar | Climate talks wrapped up here Saturday with the irrelevant Kyoto Protocol extended to 2020 and little faith in the ability of the United Nations Framework Convention on Climate Change (UNFCCC) to deliver a global solution to the climate-change challenge in time to avert disaster. Several negotiators, speaking on condition of anonymity, said countries were beginning to view the UNFCCC as a framework that can provide guidance for national and regional programs rather than as a foundation upon which a global solution can be built. REDD talks remained far ahead of overall negotiations but bogged down in a disagreement over how to verify and validate emission-reductions – in part because negotiators feel REDD talks can coast until the larger talks catch up to them. Meanwhile, attention has begin to shift towards the creation of landscape-based mechanisms that are more comprehensive than REDD but also more difficult to quantify. The Doha talks were not meant to deliver binding targets, but they were expected to yield a clear “roadmap” for funding the Green Climate Fund and achieving a global agreement by 2015 under the Durban Platform, which also calls for that 2015 agreement to be in place no later than 2020. The Green Climate Fund is supposed to be delivering $100 billion per year in climate aid by 2020 as well, but it’s also supposed to begin scaling up towards that amount starting in 2013. In Doha, negotiators kicked that can to next year’s talks in Warsaw. The Kyoto Protocol was extended for eight years without fixing any of its flaws – and it currently covers just 15% of global emissions. Although the Kyoto Protocol has been extended, its negotiating track – the Advanced Working Group on the Kyoto Protocol (AWG-KP) – wrapped up last week, as did the Advanced Working Group on Long-Term Cooperative Action (AWG-LCA), which was created at COP 13 in Bali, Indonesia. 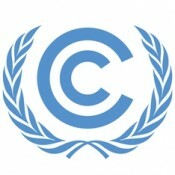 It is in the LCA track that REDD has been emerging, and those aspects of REDD that negotiators agreed to are in the Final LCA Text, which recognizes the need to talk about “ways to incentivize non-carbon benefits,” such as water filtration, biodiversity preservation, and the support of forest peoples. Those aspects that have not been agreed to have been pushed to the agenda for the next meetings of two “subsidiary bodies”: the Subsidiary Body for Scientific and Technological Advice (SBSTA) and the Subsidiary Body for Implementation (SBI). The next meetings of both take place in Bonn, Germany in June. That leaves the mechanism with $5.35 billion in public funds committed and $2.24 billion acknowledged and spent by both developed and developing countries, according to the REDD Database but that doesn’t include the $500 million each pledged by Norway and the UK. Also left unresolved is how emission-reduction results will be verified. Last week, Norway pushed for third-party verifiers “drawn from the roster of experts,” referring to experts in both developed and developing countries, as opposed to the Consultative Group of Experts (CGE), which is a roster of experts which is balanced in favor of developing countries. Brazil balked, arguing instead for a continuation of the International Consultations and Analysis (ICA) process, which is substantially softer on developing countries. Brazil says it will deliver a formal counterproposal at the next SBSTA meeting. On the eve of the talks, REDD+ Facilitator Tony La Vií±a published a paper examining the possibilities of developing a more comprehensive landscape approach to finance. In actual talks, however, little took place on that front. Negotiations related to Land-Use, Land-Use Change and Forestry (LULUCF) in the developed world, for example, focused on refining methods of accounting under the existing Kyoto Protocol. LULUCF currently applies only to land-use in developed countries that have ratified the Kyoto Protocol – essential, the European Union. The draft decision on agriculture, meanwhile, simply calls for technical talks to pick up in Bonn in June. While the United States has been advocating national accounting of all emissions from land use, this remains a delicate issue – largely because food security and development will likely lead to increased emissions in the developing world, and no one wants to be seen advocating caps in this area. The future of REDD-Plus, agriculture, and land-use change in the UNFCCC.